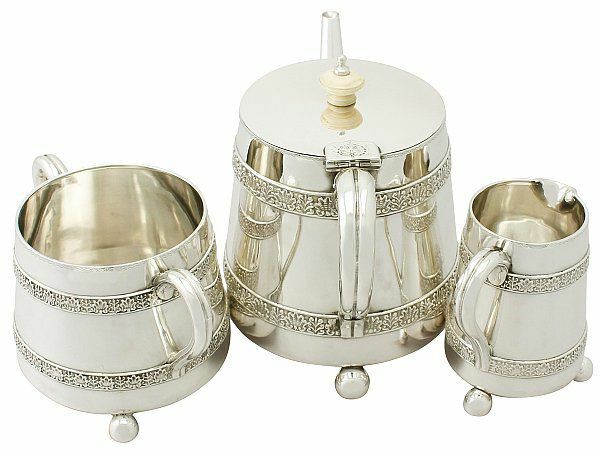 This antique sterling silver three piece tea service/set consists of a teapot, sugar bowl and cream jug. 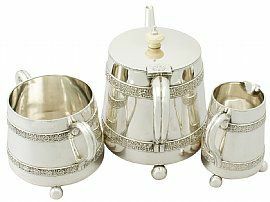 Each piece of this Victorian tea service has a plain tapering circular rounded form supported by three ball feet. 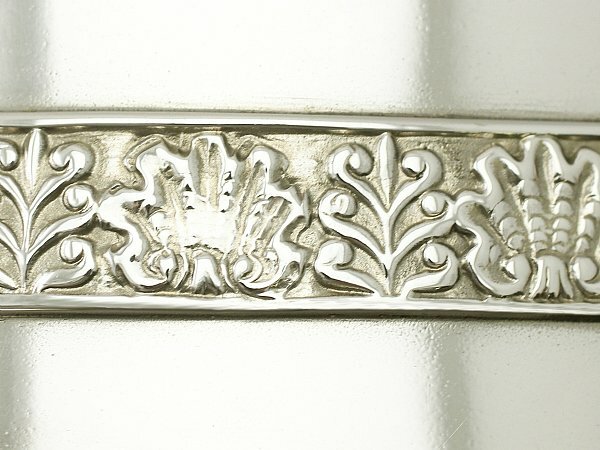 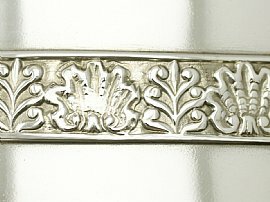 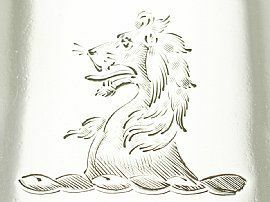 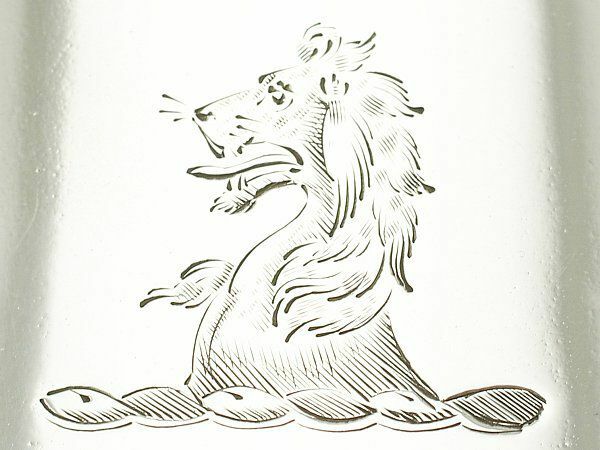 The surface of each piece is encircled with two applied bands of stylised alternating leaf designs in addition to a contemporary bright cut engraved crest of a lion's head. 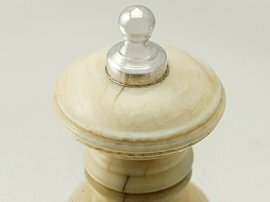 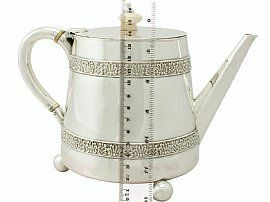 The teapot is fitted with a hinged, hallmarked cover surmounted with an impressive carved ivory and sterling silver finial. 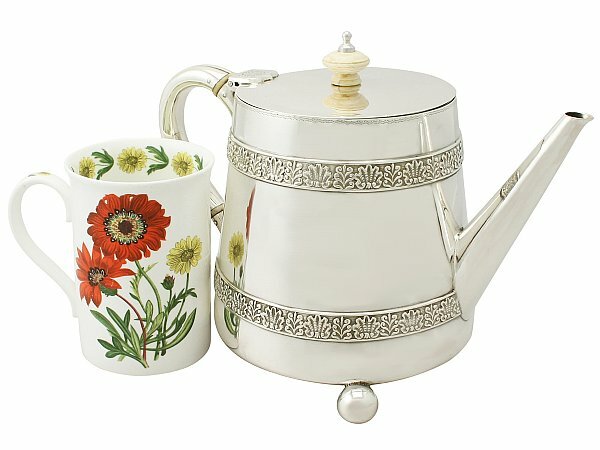 The hinge of the teapot cover is embellished with a bright cut engraved stylised leaf design. The teapot, cream jug and sugar bowl are fitted with impressive ribbed sterling silver C shaped handles. 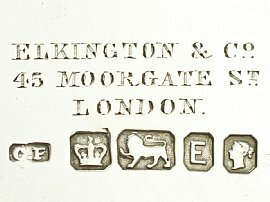 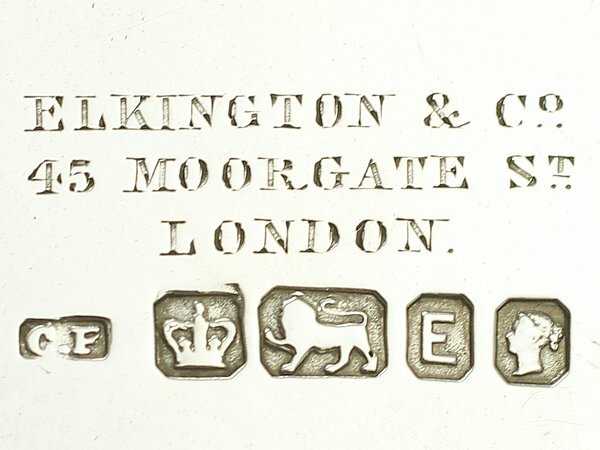 The underside of each piece bears the retailer’s mark ‘Elkington & Co, 45 Moorgate St, London’ in addition to the full hallmarks. 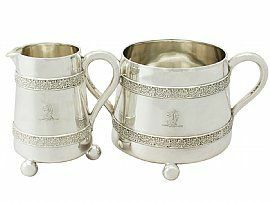 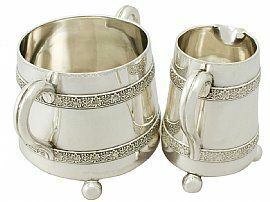 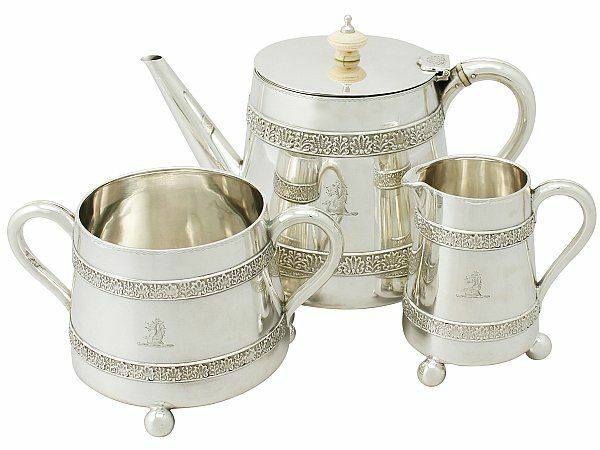 This antique Victorian Tea Service is a very good gauge of silver, fine quality and in excellent presentation condition. 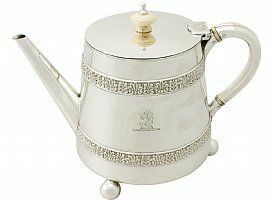 There are natural fire marks to the surface of the teapot and some minor dings to the ball feet of the cream jug, in keeping with age; these do not detract from the aesthetically pleasing appearance of the set. 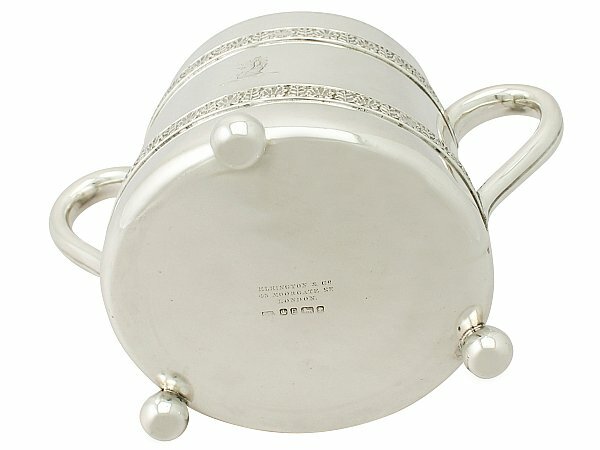 Full hallmarks struck to the underside of each piece and the interior of the teapot cover are all very clear; the maker’s marks show signs of wear, in keeping with age, but remain legible. 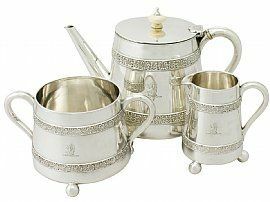 Reflections in photographs may detract from the true representation of this fine Victorian silver tea service. Length from back of handle to tip of spout 22.9cm/9"
Length from back of handle to lip 10.2cm/4"